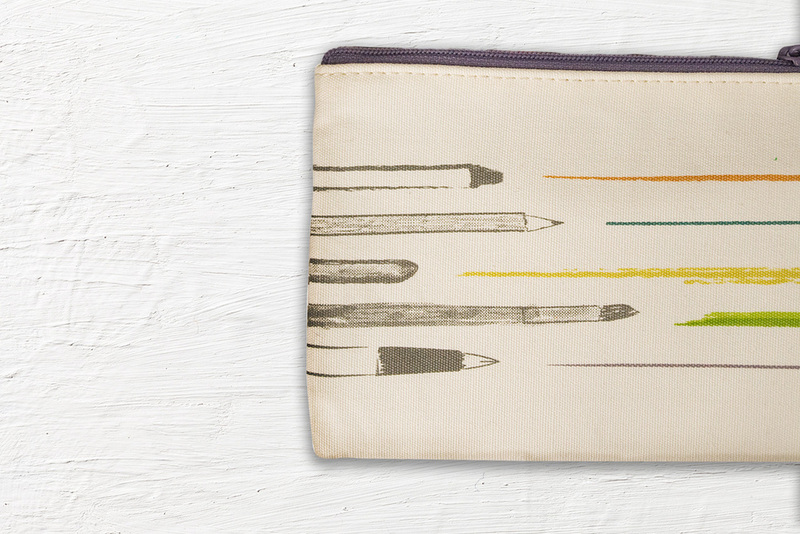 Journal and matching pencil bag set designed for a back to school line at Barnes & Noble. Design wrapped around to the back of each peice for visual interest and continuity. Tools were drawn in their respective mediums, such as a painted paintbrush or sketched pencil.